…As Stakeholders gave Warredi clean bill of health! 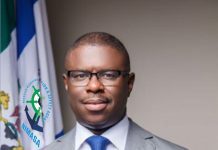 Some workers of NIMASA have petitioned the Federal Government accusing their Director General, Patrick Akpobolokemi of “absurd personnel management practices”. 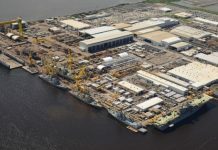 In a swift reaction, two industry watchers have however absolved one of those allegedly appointed; stressing that Capt. Warredi Enisuoh, a Class 1, Master Mariner as well as a Boeing aircraft pilot secured his appointment by merit. “I am aware of the appointment of Warredi; he is absolutely competent. 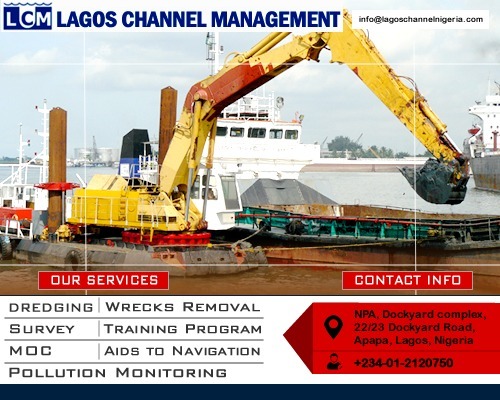 He was appointed, sequel to Lloyds and International Maritime Organization (IMO) audit which advised on need to beef up the agency with core professionals. “I can recall that I met him after he gave a lecture in Washington DC on new designs for simelators” the industry watcher who spoke on condition of anonymity stated, describing Warredi as an accident civil servant! Speaking in the same vein, another stakeholder who also spoke on condition of anonymity said Warredi did not know Akpobolokemi before getting his appointment. “I think it was the media that got him (Warredi) his appointment”, he noted, recalling that Warredi was a pilot with Virgins Airlines before coming to NIMASA. “The agency lacked professionals; and I think that was why Warredi in particular was brought in”, he explained further. Every attempt to secure the official reaction of the agency image maker, Isichei Osamgbi failed as he totally declined to answer his telephone calls. In the petition, which was reportedly forwarded to the Minister of Transport and copied to the Secretary to the Government of the Federation (SGF), Head of Civil Services of the Federation, Chairman, Civil Service Commission, Chairman, Federal Character Commission, Permanent Secretary, Federal Ministry of Transport (FMOT), Permanent Secretary, Ministry of Labour & Productivity, Chairman and members of NIMASA Board of Directors., the workers alleged the DG gave appointments unilaterally. “We wish to respectfully put forward a formal complaint to you sir, as protest on the current trend in Personal Management practice introduced by the present Executive Management of NIMASA in the name of reform by its administration. “The Personal Management Style brought into the system is alien to both Public and Private Sector Personnel Management practice in Nigeria and, perhaps, beyond. “From 2010 when the present Executive Management assumed office Appointments, Promotions and Disciplines took a new dimension that is not only dangerous but a path of total destruction of the system. “The new approach introduced from 2010 turned logic upside down in personnel practice. “It is on record that the Director General conducted Personal Management as a Personal and Private Affairs where all known procedures and relevant Establishment Regulations in decision making process are set aside,” the workers’ petition read in part. They also accused the DG of paying the “phantom consultancy” firm “a whacking sum for the job that could easily be undertaken by the Human Resources Department and Establishment Committee of the Board of Directors” of the agency. “The Consultant merely played out a script designed to block and stagnate existing officers of the Agency on GL 08 to 17. “All the new employments made through this consultant never took into account the availability of vacancies and the status of the staff already on various grade levels,” the aggrieved workers stated. They accused Akpobolokemi of not only populating the agency with his kinsmen but of elevating them over and above their qualifications and years of experience. 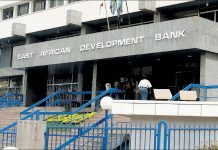 They said the current disposition of Directors in the agency “is skewed towards a particular part of the country”, in negation of the Federal Character Principle. See below the full letter and details of staff who they claim benefited from the lopsidedness of Akpobolokemi’s management. RE: COMPLAINT ABOUT ABSURD PERSONNAL MANAGEMENT PRACTICE BY THE EXECUTIVE MANAGEMENT OF NIMASA. We wish to respectfully put forward a formal complaint to you sir, as protest on the current trend in Personal Management practice introduced by the present Executive Management of NIMASAin the name of reform by its administration. The Personal Management Style brought into the system is alien to both Public and Private Sector Personnel Management practice in Nigeria and, perhaps, beyond. On the other hand, all the career officers currently in the employment of the Agency are by qualifications and experience far above those newly employed.With these unjust actions, the career officers are either doomed to stagnate or theircareer truncated in preparation to lay them off, a policy contemplated for implementation in theSecond Quarter 2015. The details of this grand plan is clearly indicated in the staff nominal roll and is attached hereto as Annexure for guidance. As indicated on the above table, this officer was employed as a Deputy Director GL 16 on 01/07/2011 in the Department of Maritime safety but 6 months later was redeployed to the Shipping Development Department as Acting Director to replace a Substantive Director. Interestingly by 16/12/13, less than 2 years, he was confirmed a Substantive Director. This officer was also recruited with effect from 21/01/2013 asDeputy Director with no qualifications and experience to earn him that position. In a similar style of impurity the officer’s appointment was claimed to be reviewed and placed on GL 17 with effect from 01/03/2015 just less than one week to a scheduled promotion interview in which he is to a schedule provocation interview in which he is to compete with career officers. We attach as Annexure to this protest the memo conveying the Decision of the Executive Management. This officer was equally appointed as Deputy Director GL16, as SA-DG, with effect from 24/12/2010 but this was tied to the tenure of the Political Appointment of the Director General. It is also necessary to state that this officer was a mere contract staff with Shell Company and that his release from the Shell Company wasfor a period of just 4 years. It should be pointed outthat even in Shell Company; he is not permanent and pensionable employee of the company. At the expiration of his tenure and with the availability of an established vacancy for a post of Director in the Agency, he has since been redeployed to assume that office in preparation for confirmation as a Substantive Director. This move was designed for implementation despite the availability of Pool of Career Officers that is eligible to occupy that position. We also attached as Annexure, a Memo to that effect from the office of the Director General. At this point, the Hon. Minister may interest you to note that in line with extant practice in Public Service Promotion exams are usually conducted for eligible officers from one grade level to the other. The provision of condition of service of the Agency has also clearly provided for conduct of promotion exams for officers that were eligible for promotion more especially for those on GL 08 – 17. Another round of promotion exams was scheduled for 4th March, 2015 in which this officeris NOT eligible to participate but in a clever move his appointment was swiftly reviewed and placed on the post of Director GL 17 with effect from 1st March, 2015(effective date is on Sunday). This is all in an attempt to preserve the position for him despite the fact that he is not even qualified to be placed on GL 16 on account of his qualifications and experience. From the foregoing Personnel Management Practice, we submit hereunder the current this position of the Directors in the Agency for proper appreciation of the Magnitude of Damage done to the system. CURRENT DEPOSITION OF DIRECTORS IN NIMASA. The Disposition of Heads of Autonomous Units in the Agency similarly reflects above pattern. The issue of Staff Disciplinary Action against erring staff has become worrisome in the sense that the Executive Management has adopted a style of humiliation against some set of staff that are allegedly perceived either being sympatheticto one Political Party or the other. In addition, staff that are eligible for promotion and been denied were always framed up with Phantom charges that are not verifiable whatsoever in order to silence them. Such allegations like late coming, divulging of corporate secrets to the Press, the National Assembly and inciting staff against the Management were the usual charges by the Director General. That all staff recruitment in the agency from 2010 to date should be investigated and reviewed in line with the extant practice in Public Services. That the celebrated recruitment exercise carried out by a consultant, Messrs Reener and Reener at a very prohibitive cost should be thoroughly investigated. That all cases of selective promotions either based on Acting Appointment Syndromeor review of appointment should be nullified and that a formal promotion exercise should be carried out through relevant Establishment Committees of the Agency. That all cases of staff stagnation should be looked into by a committee whose membership should been drawn up fromNIMASA,FMOT, OHCSF, CSC and FEDERAL CHARACTER COMMISSION. That the commissioning of a consultant (Reener and Reener) with attendant costs whose outcome is questionable should be thoroughly investigated for the purposes of Accountability and Transparency. That Appointments into GL 15 and above should not be based on political or ethnic consideration rather should be based on Career Development and Progression as practice in Public Services. That the current disposition of Directors is skewed towards a particular part of the country which is negation of Federal Character Principle. That in the interest of justice and fairplay, disposition of Directors in the Agency should reflect the current reality in the country. That the grand design to eliminate certain section of the workforce either on ethnic or regional should not be allowed or encouraged in the Agency. That Disciplinary matter should be based on prima facie cases and not as a tool of humiliation and intimidation of innocent officers who are not likeable by present Executive Management. Accept our highest consideration please. On behalf of the NIMASA staff.